Do I need soft fall material underneath my playground? If your outdoor playground equipment has a potential fall height of 600mm and greater than yes, you will need an approved soft fall material to be installed under and around your playground complying to Australian Standards. Depending on your budget this can range from various types of material such as certified soft fall mulch to rubber wet pour and even approved sand. How long does it take for my playground, fitness or water play equipment to be manufactured? Due to our vast range of playground, fitness and water play equipment our lead times can vary depending upon the type of equipment chosen. Please contact us with what equipment you are intending on purchasing and we can advise more detailed timelines to meet your requirements. Do you also supply shade structures, fencing and landscaping works along with the project? Absolutely, at Imagination Play we are your one stop “Total Recreational Solution” company. We can provide all types of ancillaries whether it be temporary fencing, permanent fencing, civil works such as landscaping, pathways and everything in between. 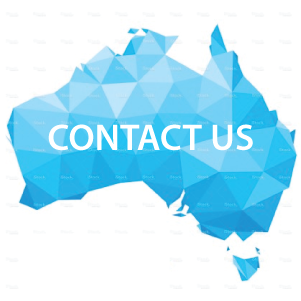 Please contact us about your project and we will happily take care of the entire scope. Imagination Play provides all types of recreational playground, fitness and water play equipment with all types of materials depending upon the customers location, budget and needs. We stand by the quality of products so please refer to our specific warranty page to find the type of product you are interested in to see its warranty breakdown. Yes, where possible we prefer onsite visits so we can personally see your site location, access and personally discuss with you your needs. Generally there is no charge to you for one of our friendly staff to visit your site and discuss your project. We can also offer added services of running fun and educational school class projects to let the children build their playground for your school if required. I have looked through your website and catalogues and cannot find a suitable playground. Do you custom design and build? Absolutely, at Imagination Play we specialise in custom designing and building all types of playground equipment to suit any shape, budget or materials. We have an in house team of designers ready to create your custom bespoke project. At Imagination Play you are only limited by your Imagination! Do you provide a playground maintenance service. Yes, all of our playgrounds are supplied with a detailed maintenance schedule but we can also offer our in house maintenance service as well if required. Please contact us to discuss further. 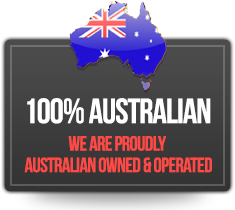 Do you install in remote areas of Australia? Imagination Play supplies and installs all over Australia and use local contractors and materials where possible. Please refer to our completed works map to see our vast number and remote installations near you.